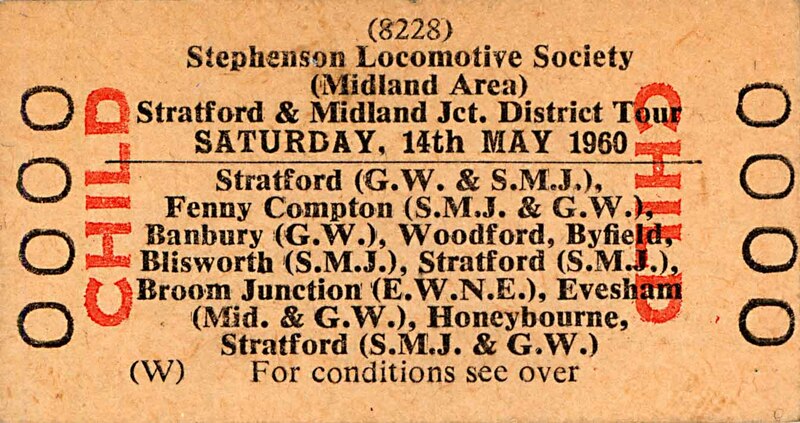 A) Stephenson Locomotive Society - Stratford & Midland Junction - 14th May 1960. 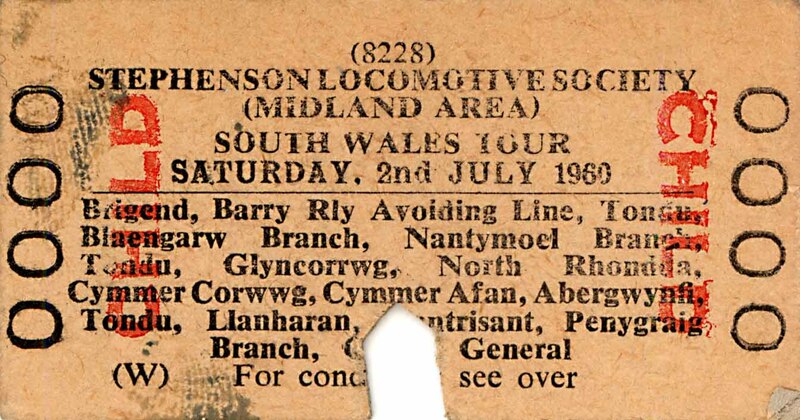 B) Stephenson Locomotive Society - South Wales - 2nd July 1960. 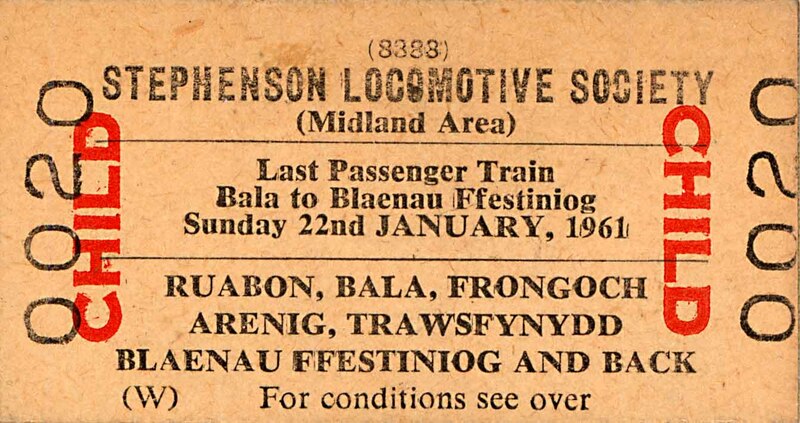 C) Stephenson Locomotive Society - Bala to Blaenau Ffestiniog, Last Passenger Train - 22nd January 1961. 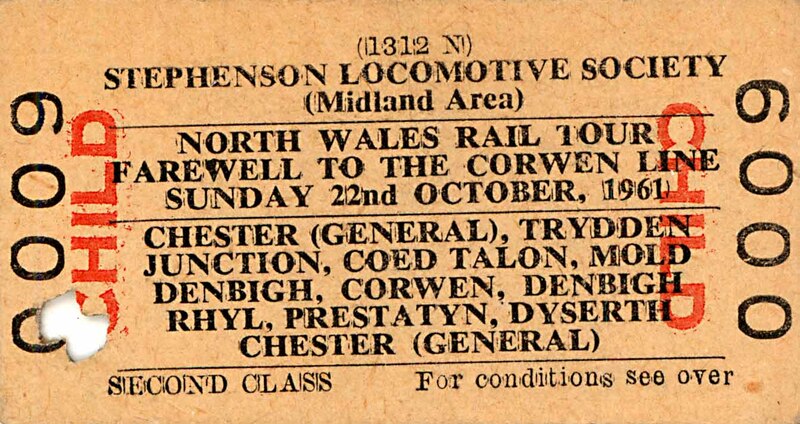 D) Stephenson Locomotive Society - Farewell To The Corwen Line - 22nd October 1961. 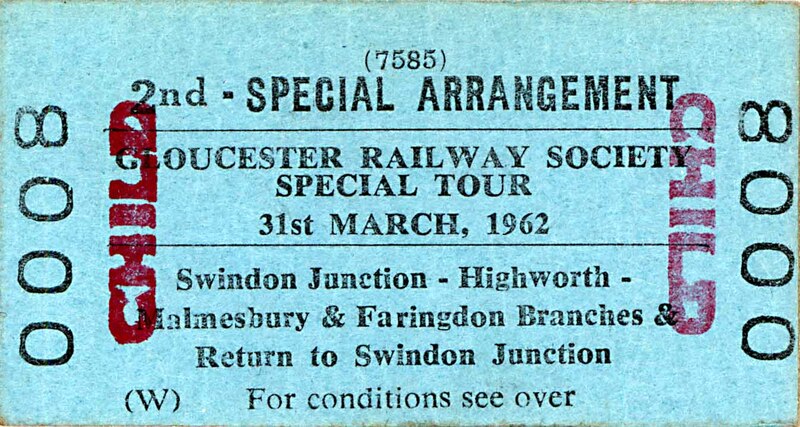 E) Gloucester(shire) Railway Society - Swindon Branches - 31st March 1962. 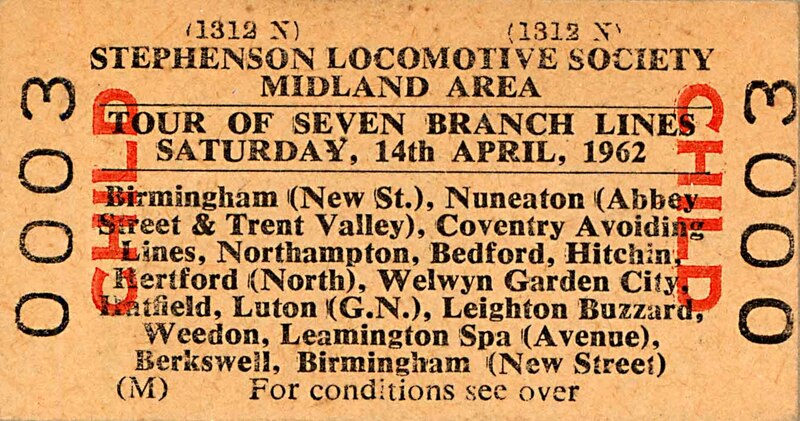 F) Stephenson Locomotive Society - Seven Branch Lines - 14th April 1962. 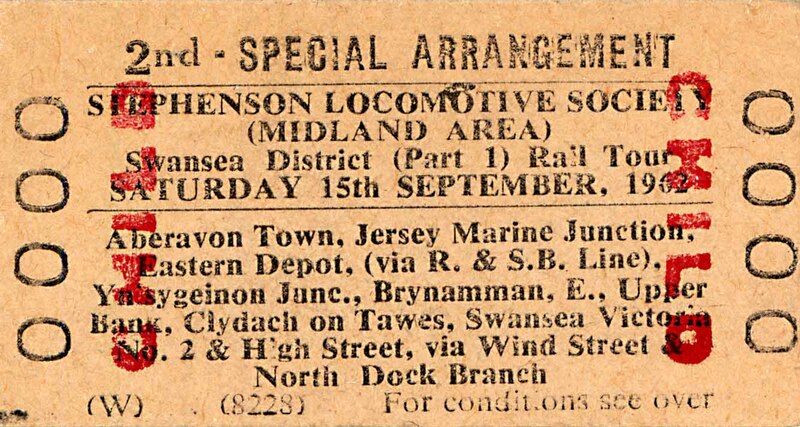 G) Stephenson Locomotive Society - Swansea District - 15th September 1962. 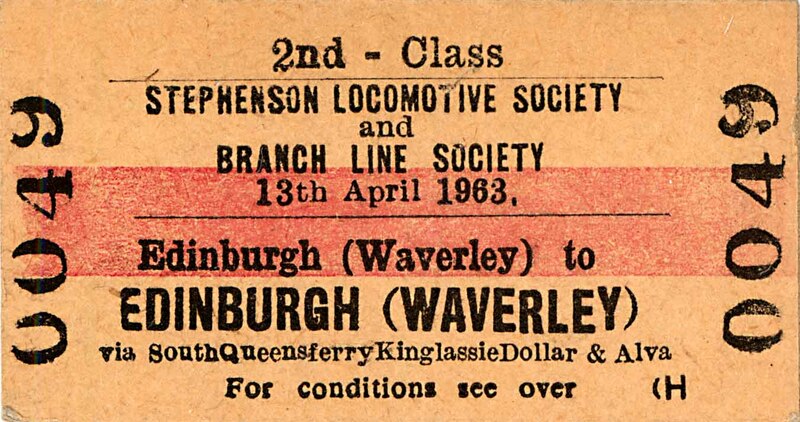 H) Stephenson Locomotive Society & Branch Line Society - Scottish Rambler - 13th April 1963. 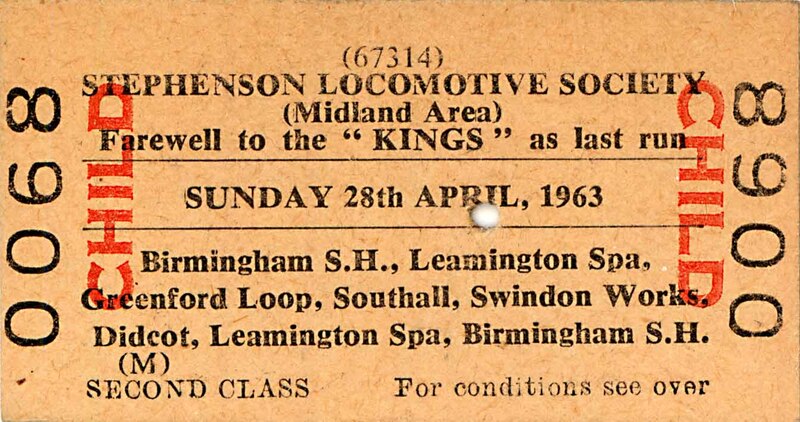 I) Stephenson Locomotive Society - Farewell To The Kings - 28th April 1963. 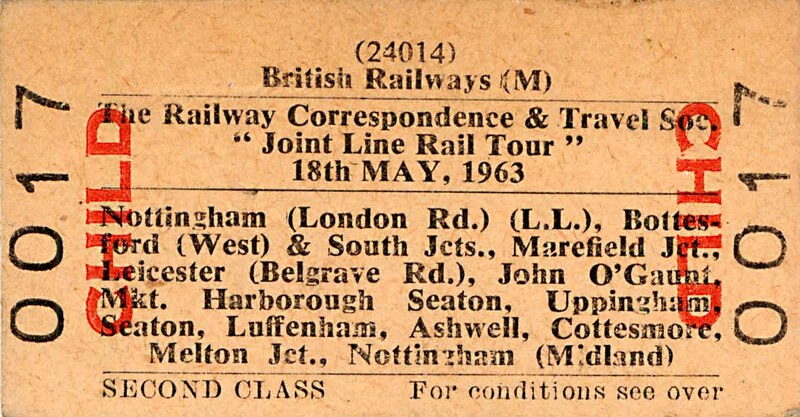 J) Railway Correspondence & Travel Society - Joint Lines - 18th May 1963. 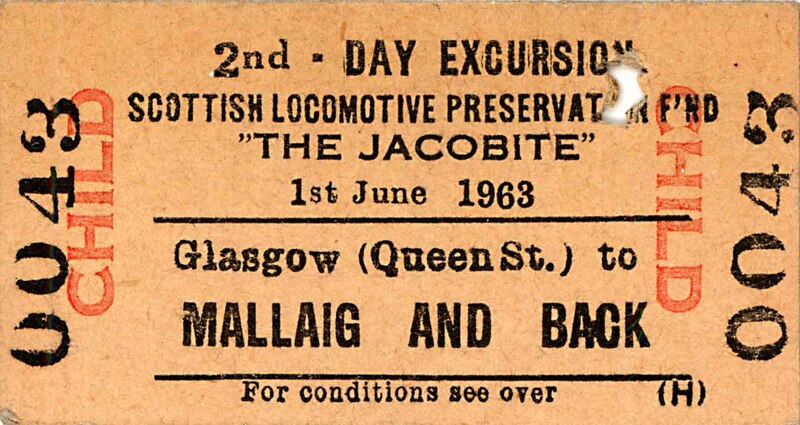 K) Scottish Locomotive Preservation Fund - The Jacobite ('Last Steam' To Mallaig) - 1st June 1963. 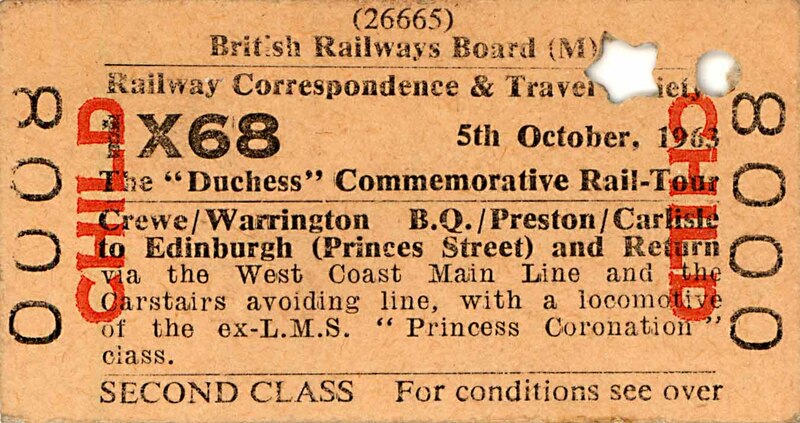 L) Railway Correspondence & Travel Society - Duchess Commemorative - 5th October 1963. 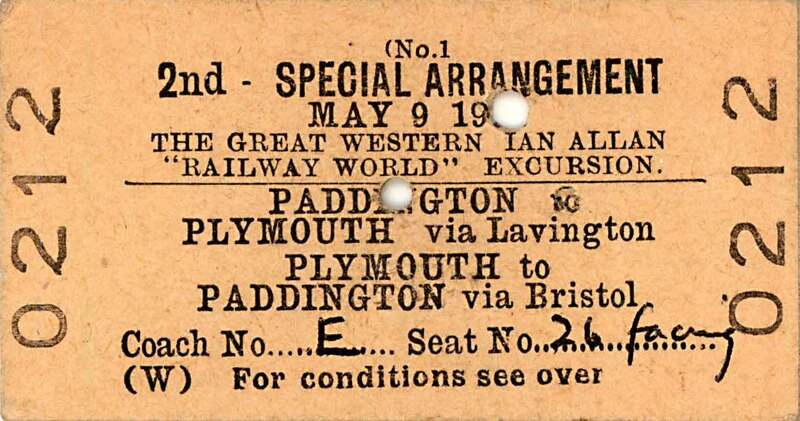 M) Ian Allan - The Great Western (Note - Individual Reserved Seats) - 9th May 1964. 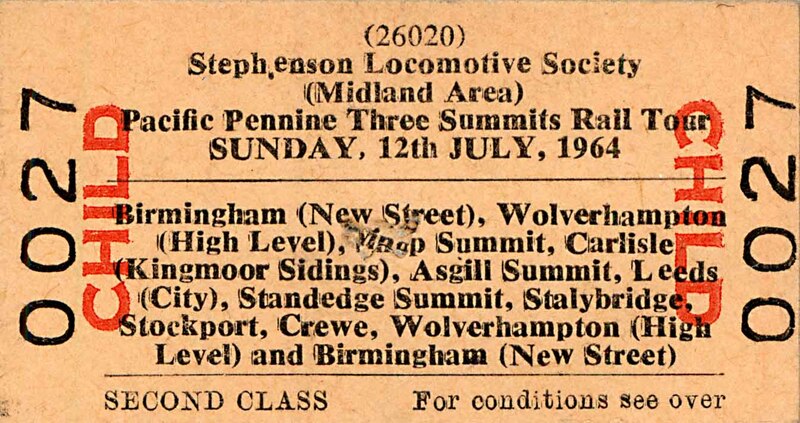 N) Stephenson Locomotive Society - Three Summits - 12th July 1964. 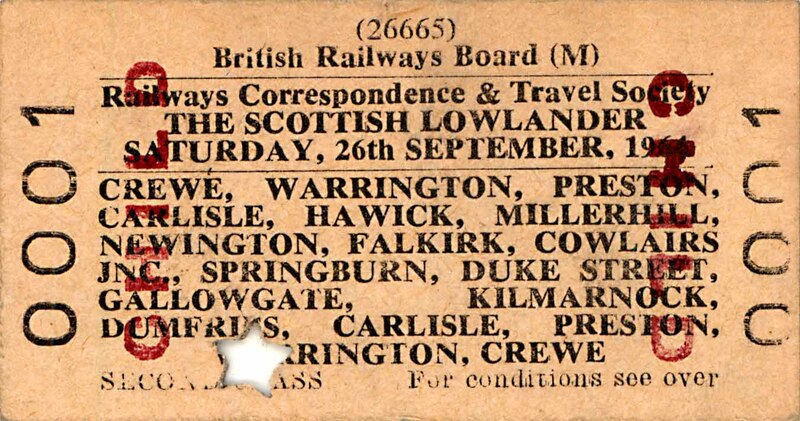 O) Railway Correspondence & Travel Society - Scottish Lowlander - 26th September 1964.